Fine. 1509842837 ALL BOOKS SHIPPED WITHIN 1 DAY OF PURCHASE! The title sounds like this could be a romance novel. 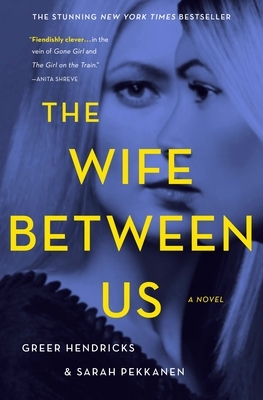 If you, like me, dislike romance novels or even romantic thrillers, I promise, THE WIFE BETWEEN US is neither. Although this book does describe a love triangle, it doesn't exactly. It seems the ex-wife is stalking and terrorizing the girlfriend, but then it doesn't. No one in this book is as they first seem. It will feel like you are constantly having to revise your understanding of people and events. As a matter of fact, halfway through the book you may want to stop and reread everything you have read so far. I did. Because most book reviewers, in my opinion, say too much, I am careful not to do the same. I received a copy of this book courtesy of NetGalley in exchange for an honest review. The description is accurate. Do not make any assumptions about this book. most likely your assumption is wrong. The author does an excellent job of tricking the reader. You will be tempted to turn back through the pages to determine what you missed. I enjoyed the authors writing style. All of the characters were well developed and believable. It was a creative story with lots of twists. Overall an enjoyable read. If you found this review helpful, please click below.